Below are images breaking down the complete Rainbow PN-12 power nozzle. Click on each area of the system to get a more in-depth view. This schematic covers the complete Rainbow PN-12 power nozzle SIDE BELT version assembly that includes the motor, brush roll, and pivot arm. 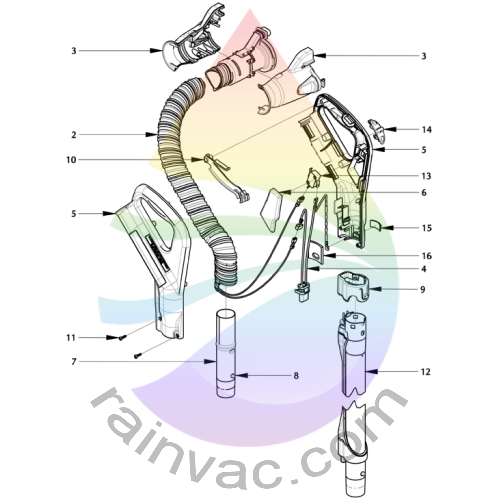 This schematic covers the complete Rainbow PN-12 power nozzle electric hose assembly that includes the handle kit, button lock, and switch actuator.